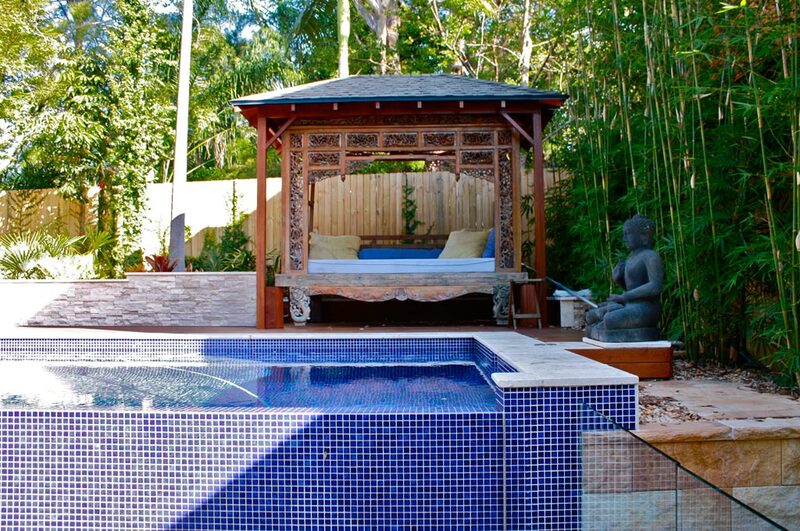 This stylish above ground family plunge pool is the highlight of this beautiful Balinese-styled backyard. 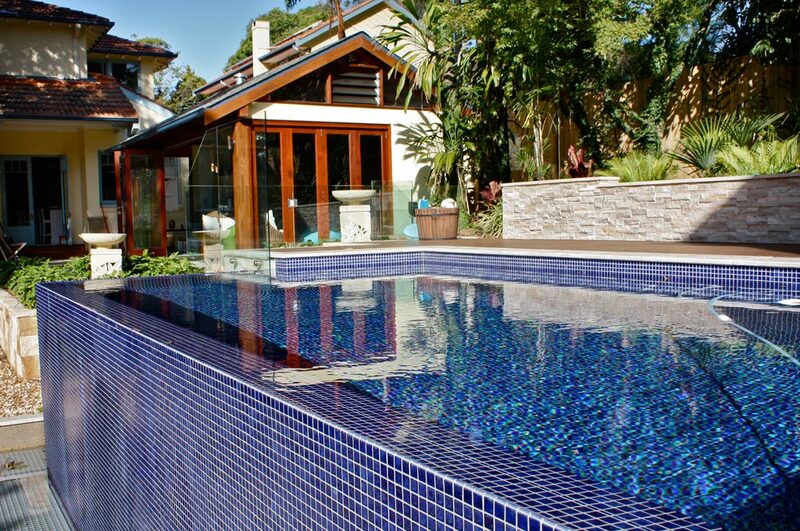 Fully lined with deep-blue glass mosaic tiles and incorporating a wet-edge spill-over wall, the overall look and finish is a wonderful balance of clean lines and complimentary aesthetics. 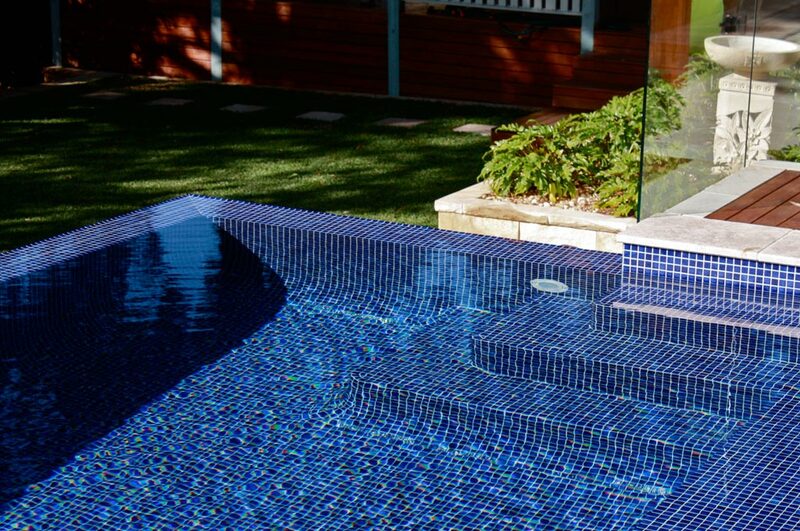 A play ledge for the kids runs the length of the pool, and the ascending steps are finished in Travertine tiles. 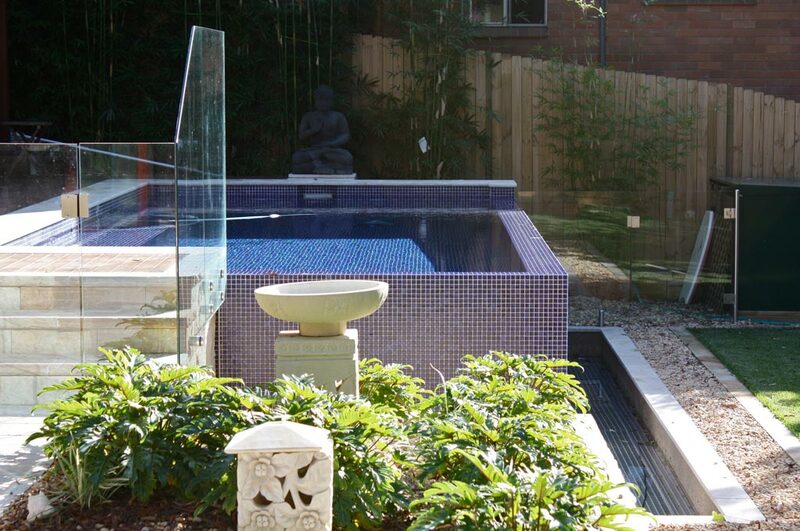 Unobtrusive glass fencing and Asian-inspired garden plants enhance the visual appeal. 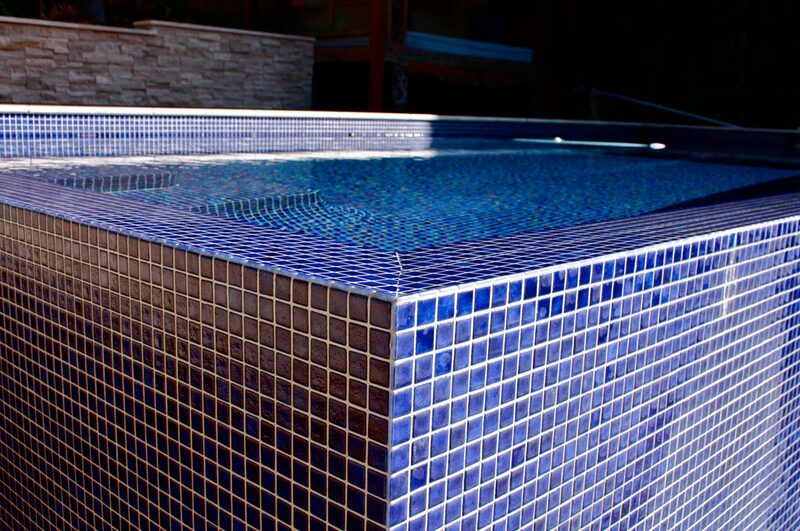 This wonderful family plunge pool is very low maintenance, incorporating the convenience of a jet back pool cleaner, as well as the comfort of gas heating for year-round enjoyment. Mini excavators were used to ensure minimal disruption to this small and difficult-to-access site. Construction was also challenging, with a lot of rain during excavation. 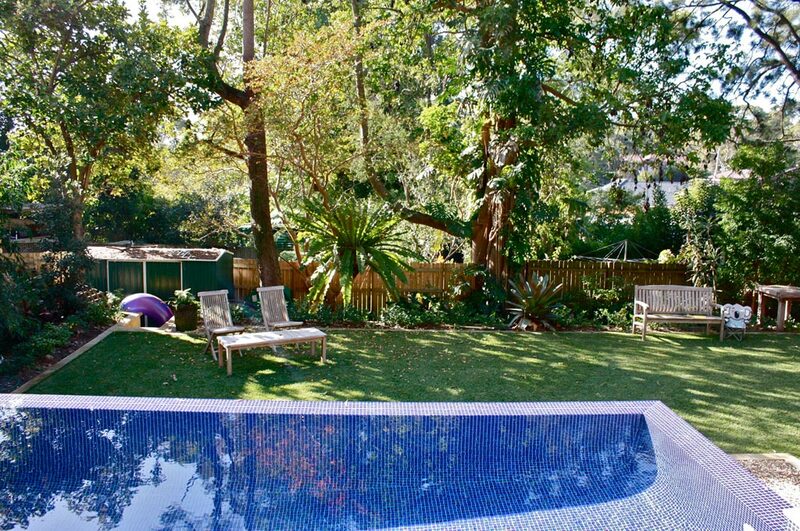 However, the result has thrilled this family and transformed the backyard into a focal point of relaxation and enjoyment.